A new research study has identified a potential new target for therapies that could be used in triple-negative breast cancer, while sparing healthy cells. The work published in Nature Communications by a U.S.-China team, led by researchers at Scripps Research in California, shows how a protein called Rad52 might be a new therapeutic target in some types of cancer. Rad52 participates in the repair of a certain type of DNA damage called a double-strand-break. Repairing DNA may seem like a good idea and in healthy cells it is, but in cancer cells, it can actually keep them alive in a damaged state and prevent therapies from working properly. 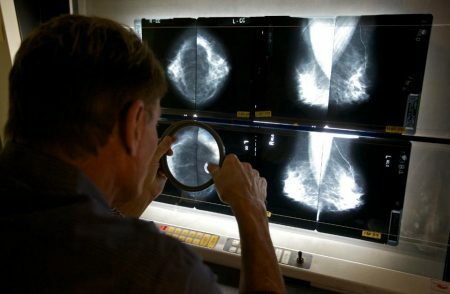 One cancer type that the researchers believe a Rad52-targeting drug might be useful in is that of triple-negative breast cancers, an aggressive form of the disease that affects an estimated 28,000 Americans per year. This type of breast cancer also has a lower survival than many other types, with 77% of women with triple-negative breast cancer surviving for 5 years or more, compared to 93% of women with other types of breast cancer. Read more.